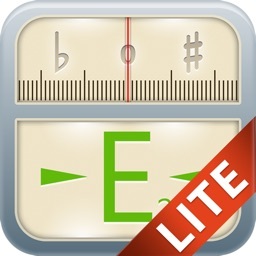 insTuner Free - The BEST, FREE, INTUITIVE Chromatic Tuner! 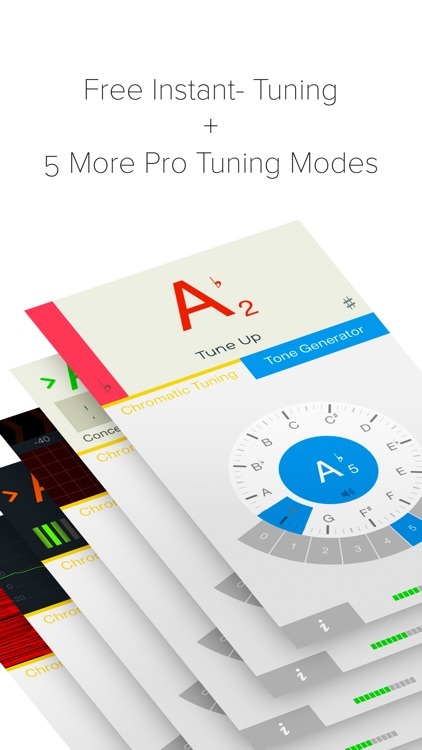 insTuner is a chromatic tuner that helps you tune instruments quickly and accurately. With advanced DSP (Digital Signal Processing) algorithm, it is highly accurate (±1/1000 semitone or ±0.1 cent precision). 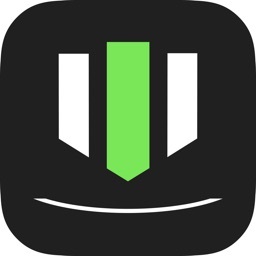 insTuner Free is well-designed and easy to use. 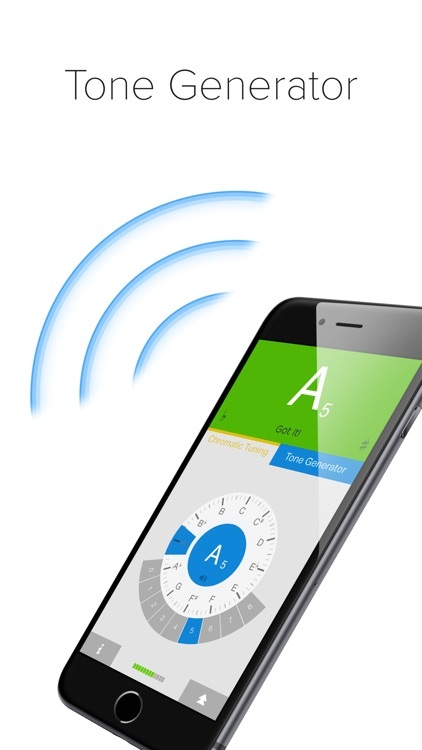 It features a unique "fixed" note wheel, which helps you to find the position of detected pitch easily. 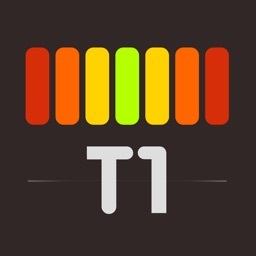 You can also use it as an electronic pitch pipe to tune by ear, matching the generated tones. 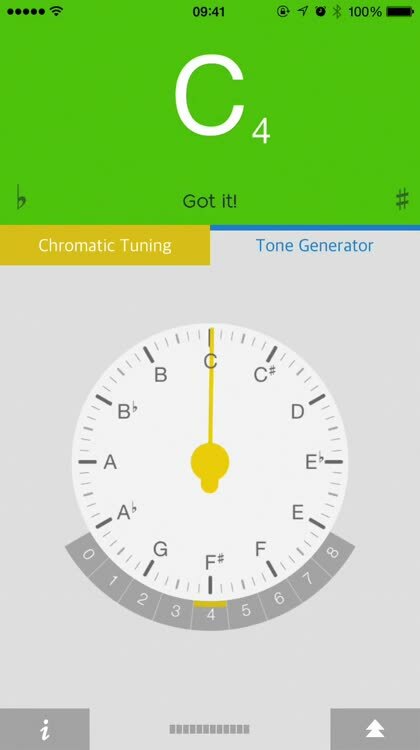 With its large and clear display, you can tune your instrument without any difficulty: Just tune and play! It is suitable for tuning acoustic or electric guitar and bass, ukulele, mandolin, banjo, bouzouki, bowed strings, woodwinds, brass, timpani and more. 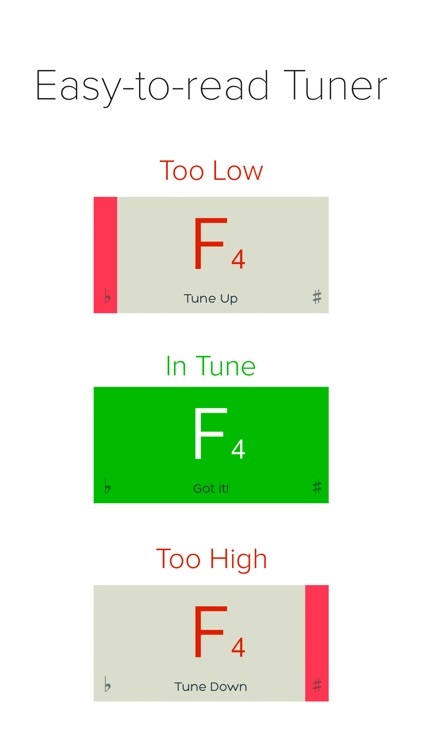 In fact, almost any instrument that sustains a tone can be tuned using insTuner Free. 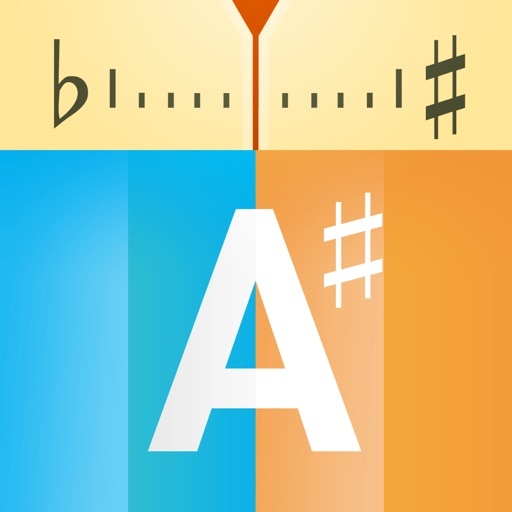 It supports Line-in Mode as well as Built-in Microphone Mode. Clip Microphone is supported too. 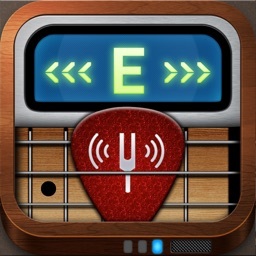 * Universal App, purchase once, available on all of your iOS devices: iPhone/iPhone5/iPod/iPad. iPod Touch 3rd generation requires an external microphone. EUMLab's goal is to unleash your musical talent! 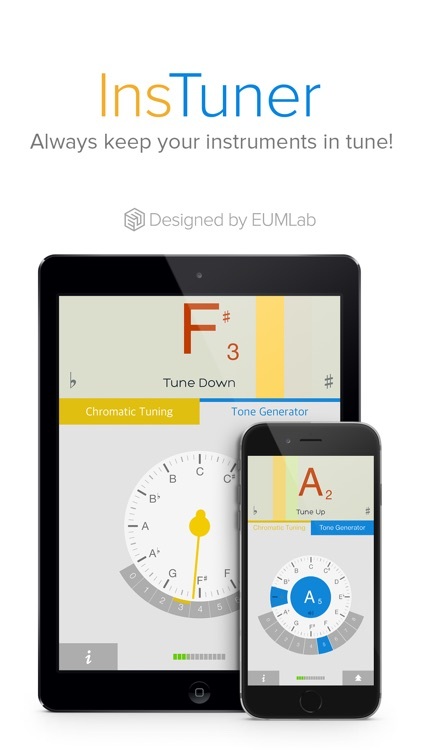 With magic technology, EUMLab provides many products to help you create or learn music.